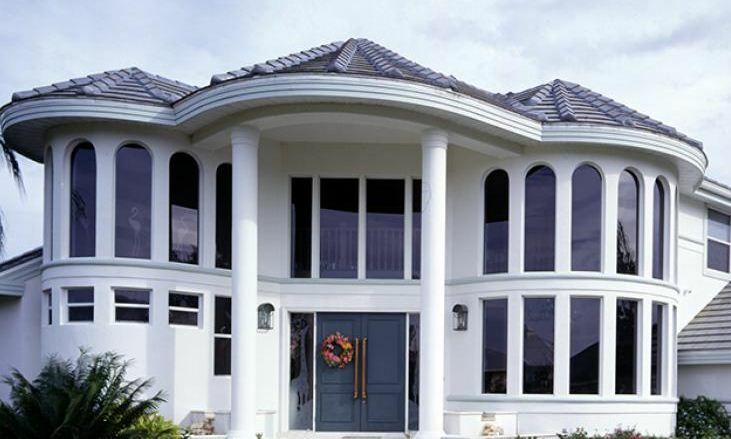 If you are thinking of getting vinyl St Petersburg, FL replacement windows, you might think you are in for a world of white, but that’s not necessarily the case. When vinyl windows first came onto the scene in the 1970s, they were only available in white. But since that time, they’ve grown in popularity so much that they are now the most-purchased option on the market. With that growth has come a whole host of new options, including color. Now, you can get just about any color you want in vinyl replacement windows. While white is still one of the most common and popular options, black has come onto the scene as a new trend in window colors recently. Here are a few things to think through if you are considering your color options. If your home is a light color, black replacement windows give you the chance to contrast what you have going on in the rest of the house. Your new windows will stand out either way, but if you really want them to stand out and shine, black will definitely do it. The modern style is all about contrast and you can give your home a stark contrast with black windows against a light-colored house. There are some colors that are considered just about as basic as they get. Black and white are such colors. While they’re both basic, white is the norm for replacement windows so when you go with black instead, you’re still getting something basic, but it’s also different. Your black windows are unique because while they’re popular right now, they aren’t something many people have as of yet. Your house will stand out as unique and attractive due to the black windows. While black replacement windows are new in their popularity, they aren’t something that are going to just go out of style. Black is a classic color and as long as it looks good with the colors on your house, it’s going to highlight the windows in a nice way. You don’t have to worry about the color trend going off the market next year or anytime soon. If you want to accent your St Petersburg, FL replacement windows with something different than simple white, consider black for your color of choice. While it doesn’t work well on every home, it can bring a sense of unique style to the right house. If you aren’t sure where to go to get started, contact Clearwater Window & Door Inc by calling (727) 559-7007 for a free consultation. We’re happy to talk to you about anything regarding replacement windows, even their colors. Stop by and see some samples of the quality windows we offer in our showroom at 2025 Gulf to Bay Blvd, Clearwater, FL 33765. We’ll talk over ratings, labels, styles, and even colors with you for as long as you’d like.